This page is dedicated past and present members of Mike’s Olympic Gym, many of which have participated in the True Fitness Solutions Program. For those of you who’ve never walked in the gym, Mike’s gym is lined with trophies, plaques, medals of people who’ve achieved great accomplishments from Mike’s coaching and training. Additionally the gym is lined with news paper articles of various people, including student athletes, professionals etc, that provide a testimony of the victory’s they have won and accomplishments made by way of the coaching and training that Mike has offered for decades now. There’s also some older videos of when Mike was featured on the local news for a series. Enjoy the videos and the testimonies! Mike was in the 220lb weight class. In this picture Mike thinks he was squatting 575lbs. 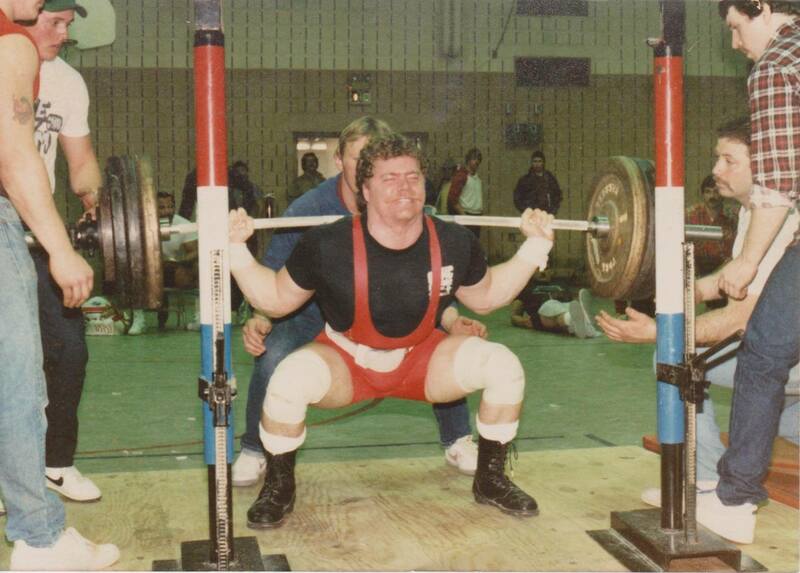 His all-time Max was 670lbs!